An emotional Brett Finch has paid an incredible tribute to former Melbourne Storm teammate Greg Inglis after he announced his retirement from the game. Finch played 41 games for the Storm between 2009-10 and said the retiring Souths skipper's resume stands up with any legend to have ever played in the league. "He’s strong, and quick, and skillful, and ticks every box," Finch told Macquarie Sports Radio. "I’ve never seen anyone with a knack of being able to go, ‘Righto, give me the ball, I’ll score, I know we need something'. "If I needed one player to come up with a play to save my life, he’s the man to do it." 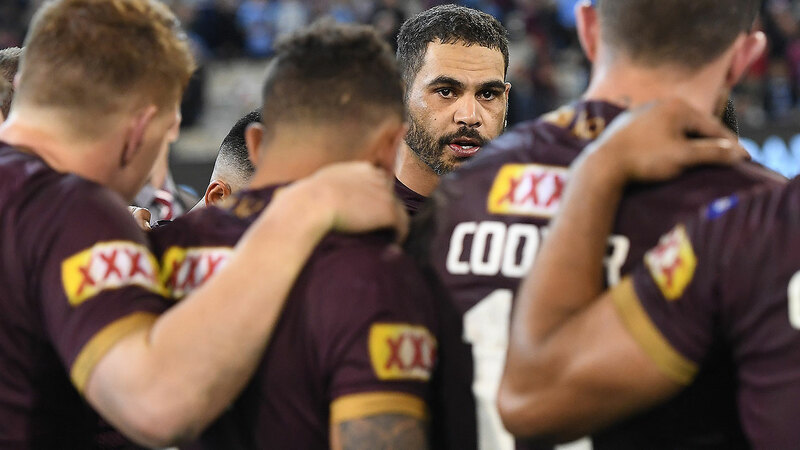 Finch also lauded Inglis' ability to inspire his teammates and make the players around him better simply due to his incredible dressing room presence. "He’s one of those blokes, you’re getting ready and you look across and see G.I putting his jumper on you just feel better because we’ve got G.I," Finch said. "If he’s on the field with you, you knew you were still a chance. "He was an amazing athlete, an amazing team mate, a great fella to have around the club, an absolute champion."